Mum will probably be happy whatever you buy her for Mothers Day, you can make her extra happy though, with a Balloon in a Box! 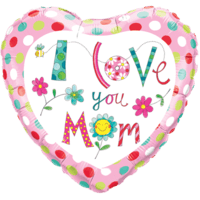 We have a great range of Mothers Day themed balloons. 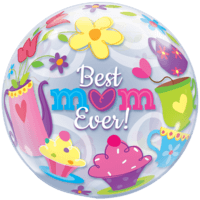 Particular favourites include our 'Best Mum in the World' balloon and our 'Happy Mother Day Garden Cluster' balloon. You can send bouquets of balloons too! 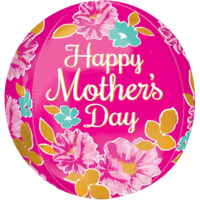 Either way, we are sure you Mum will absolutely love her balloons! 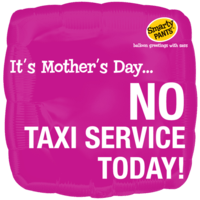 We don't deliver our balloons on Mothering Sunday, but we can send them to arrive on the Saturday or Friday before. 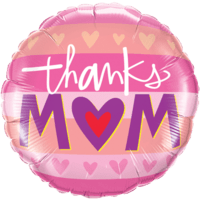 Your balloon gift will last at least a week, and often over a month, so Mum will be able to enjoy her thoughtful gift even longer! 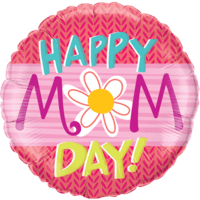 Please see our 'Mum' section for some more Mother type balloons! 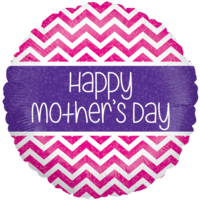 A contemporary looking 18" balloon gift for your with-it mum! 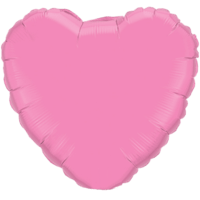 Send this good looking helium balloon for Mother's Day. Surprise! 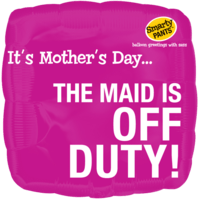 Mother's Day Off No Duties Today! It's a given! The kitchen is definitely out of bounds! 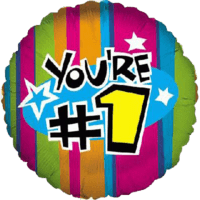 Send this amusing 18" helium foil balloon to your mum on Mother's Day! She'll be tickled pink! It's Mother's Day No Rides! Ha! No rides today. 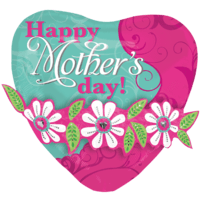 It's Mother's Day! 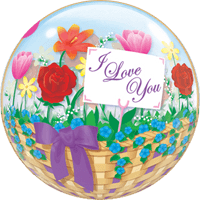 Send your mum this fun 18" balloon in a box gift and remind her to put her feet up on her special day! A big and beautiful 24" mega balloon surprise gift. Lovely in contrasting colour swirls and a garland of flowers. You'll be the flavour of the month if you send this! Diamonds are a girls best friend! 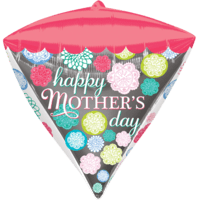 We've got this 15" diamond shaped foil balloon so you can say Happy Mother's Day. 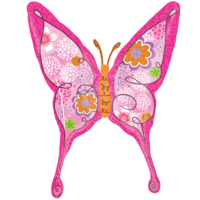 She's still a girl at heart and will love this lovely surprise gift from you! A bright pink 16" beach ball shaped Orbz foil balloon with a touch of exotic! A brilliant and beautiful way to say Happy Mother's Day. 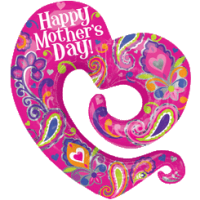 Give it a whirl and send this swirly and paisley designed mega 30" x 31" foil balloon to your mum. A fantastic way to say Happy Mother's Day!